Msgr. Joseph Kandathil Memorial Cancer Research Centre (MJKMCRC) is a prestigious project, of Assisi Sisters of Mary Immaculate, for the development and creation of affordable, quality, comprehensive oncology services to the needy; all under one roof. Msgr. 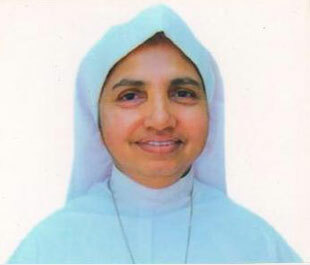 Joseph Kandathil (1904- 1991), who is known as Damien of Kerala, found the Assisi Sisters of Mary Immaculate (ASMI) congregation and the Greengardens institutions. The saga of ASMI group of institutions began with the creation of Poor Leprosy Home in 1942 in Cherthala, for the care and treatment of Leprosy patients. After controlling leprosy to an extent, in 1999 with a visiting oncologist the ASMI sisters turned its attention to oncology services. 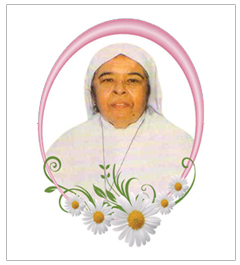 MJKMCRC is dedicated to the memory of Msgr. 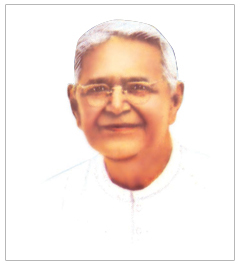 Joseph Kandathil, our Father Founder. A person of heroic virtue. A young priest of 33 who committed his life to God and to his brethren. He listened the voice of God, reflected, and bring it in action. “When you did it to the least of My brethren, you did it to Me”(St.Mt.25/40)became the light for his future plan strength in his helpless time, turned as fire in his heart and wisdom for his memory. God prepared him to do these services even from his childhood and molded for the same during his seminary studies. He heard the helpless cry of “Lepers” - the least and last of our society of that time (1942). First few years he himself nursed them and then with the help of sisters from other congregations. In 1949 he founded our congregation “Assisi Sisters of Mary Immaculate” to take care of Leprosy Patients. He extended his mission wherever it is needed; like, schools for deaf, blind & mentally challenged. His eyes always turned to the needy. He neither published his services nor allowed anyone to do it. We bow our head before his Blessed Vision and compassionate Mission and ask the Lord to grant us the willingness and commitment to continue this mission in its fullness through our services. Sister started her carrier as a teacher ended her service as a dedicated doctor. She was a high school teacher before her entry in to our congregation. Her aspirations were to dedicate her life to serve the leprosy patients. So she joined in our congregation. Our leprosy patients are in need of a doctor sister was send for medical studies. Sister finished her M.D. and took MRCP, worked whole heartedly for lepers and general Patients. Patients loved her very much. Sister did a lot of services to the needy &downtrodden brethren. She became the voice of voiceless in Tamil nadu, constructed about 150 houses for houseless harijans. Sister was our Mother General at different periods. When leprosy was eradicated from Kerala, her attention was turned to the neediest patients of the time. As we witnessed the pathetic and heart braking death of few cancer patients who did not get correct treatment in time made her to do something to help these people– an institution where the cancer patients get all the best treatment available in the world. All under one roof! That is our Prathyasa! 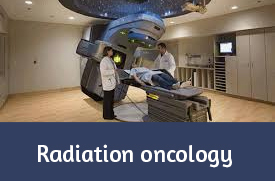 Facing all difficulties she brought the best Radiation equipment – Linear accelerator. Prathyasa is built in such a way that patients who enter here feel serenity, peace and has home feeling. It was her last dream in life and she did it, and went to get her reward from heaven on 25th May 2011. MJKMCRC –PRATHYASA- Inspiration to start a cancer centre originated from few incidents that took place in our S.H.Hospital. We witnessed the death of young and middle aged cancer patients. A young woman of 25years soon after giving birth to her second child detected to have cancer which was not known early, died within 30 days. A middle aged man who wished to live for another 5 more years died within 5 days, these incidents were heart breaking. It has opened a way to think how can we help our cancer brethren? Pooled our thoughts (doctors, engineers, architects, Physicists etc;) put into action facing all risks and difficulties now come into reality. That is our Pratyasa (prathyasa means good hope, in Malayalam language). This center is constructed solely with donations of our people. All have co-operated & contributed their share, both rich and poor. When there was shortage of resources Sr.Micheal Francis and myself went for begging. No one questioned, they helped us with what they have, just like the “poor widow” in the Gospel- exactly the same incident happened! I received Rs.30 from one person ( he had only so much in his hand told me he wished to help cancer patients but only Rs.20, he doubted do I receive it or not. Of course was the answer and opened my both hands before him but he gave Rs.30 instead of 20! given all what he had in his pocket !) for the construction. 10 bricks of MJKMCRC –PRATYASA are from his donation. This donation I consider as most precious one since he had given me all what he had. 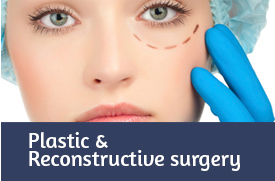 We had only one intention, to provide the best treatment for cancer patients. Taken loan from the bank to bring the machine, still it is there. So many people helped us in various ways. I do remember all of them with love, gratitude and offer our prayers. We have only one desire & prayer let all the patients who come into Pratyasa has to get the Touch of God and healed. The patients come inside our hospital used to say we feel serenity, peace and homeliness. Most of them get healing too. Jesus came into the world to give life ,life in abundance(JN.10/10) Our patients experience it.